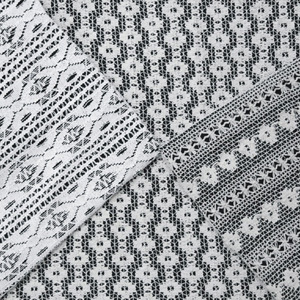 Our eyelet embroideries are done on the most advanced machinery in the market. 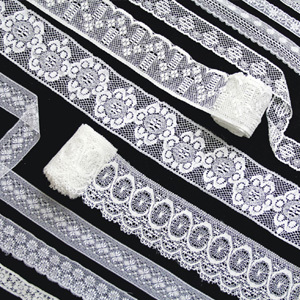 With efficiency and precision, we deliver the best fabrics and lace strips in the shortest amount of time. In-house designers ensure that we are able to provide the buyer with new designs and that we are able to customize according to buyer's needs. 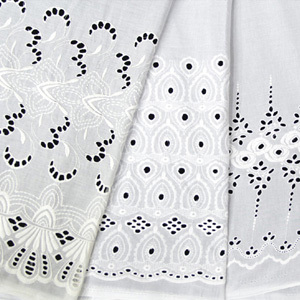 100% cotton fabrics along with lace strips in cotton, silk or nylon, which are completely customizable due to our range of in-house machinery and expertise. 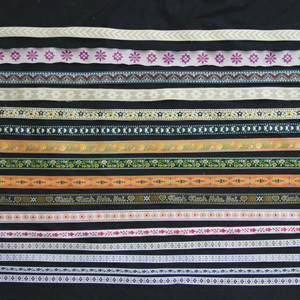 Machine made laces in a variety of colours, widths and designs. We customize to the clients preferences. 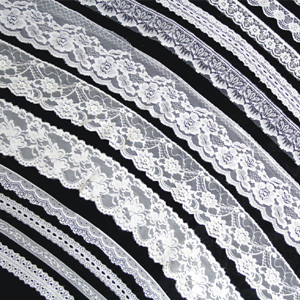 We have an exquisite range of 100% nylon laces in varied widths and designs. Customizable to buyer needs. All your needs in fringe and tassel laces are taken care of with our wide variety of laces in cotton, jute and silk. Customizable to buyer needs. Machine made fancy tapes in different colours or mono chrome, all done with precision and finesse. Our unmatched quality is customizable according to the buyer's needs. 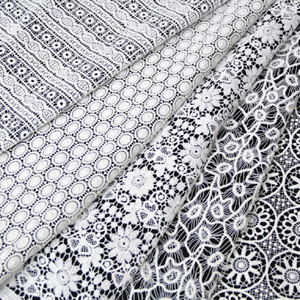 Micro laces and fabrics are a specialty product and posses an old world beauty and charm. Designs are a combination of vintage and modern and will entice any buyer. In-house machinery ensures that we give prompt deliveries. 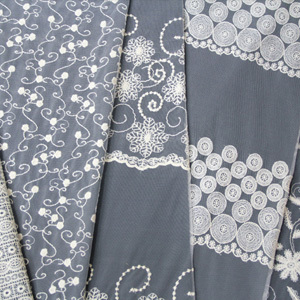 Machine and handmade crochet laces and fabrics are available in all kinds of designs and widths. Our huge inventory is possible only due to our in-house machinery and a great technical staff. Customizable to buyer needs. 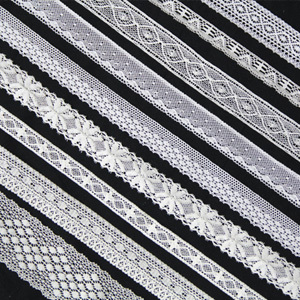 Our range of chemical fabrics and laces is unmatched in quality and design. With in-house machinery and designers we can customize to buyer requests and offer prompt and timely deliveries.